If you are looking for a super simple hors d’oeuvre that ‘ll impress friends and family, look no further! These Ricotta & Sun Dried Tomato Crostini have just a few ingredients, taste incredible and look beautiful! 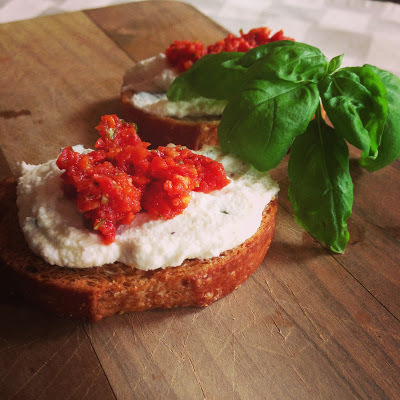 The creaminess of the basil ricotta, the slightly sweet and savory sun dried tomato pesto and the crunch of the crostini = perfection! The flavors balance each other to make for one fantastic hors d’oeuvre!!! To make the crostini, toss the thinly sliced baguette with a little olive oil, salt, pepper & garlic powder. Place in a single layer on a baking sheet and bake at 375 degrees for about 12-15 minutes or until lightly golden on each side. 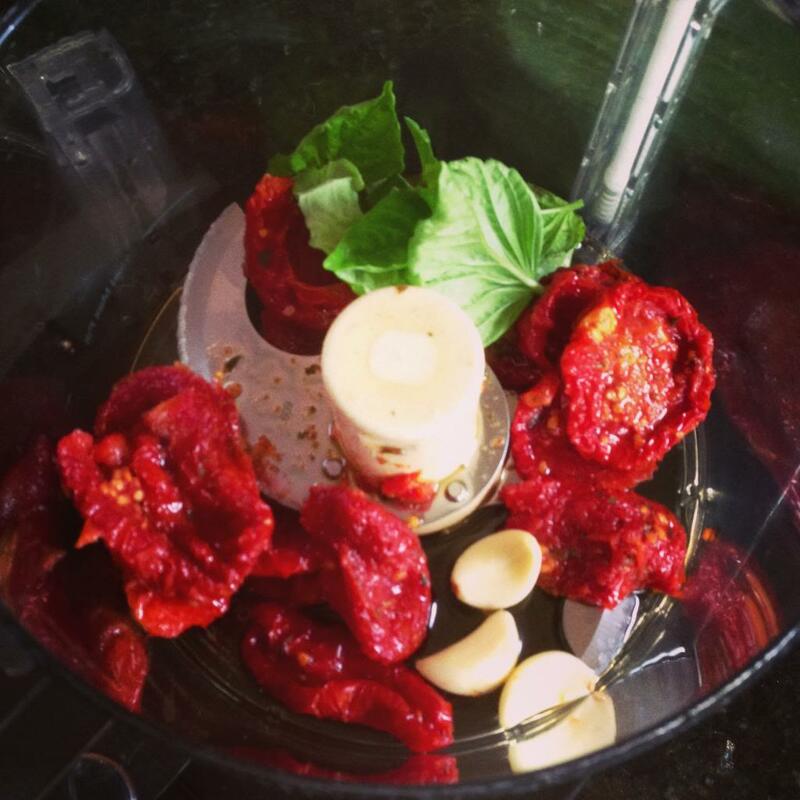 Into a food processor add the sun dried tomatoes with the oil, the garlic cloves and a few large basil leaves. Pulse until finely chopped. 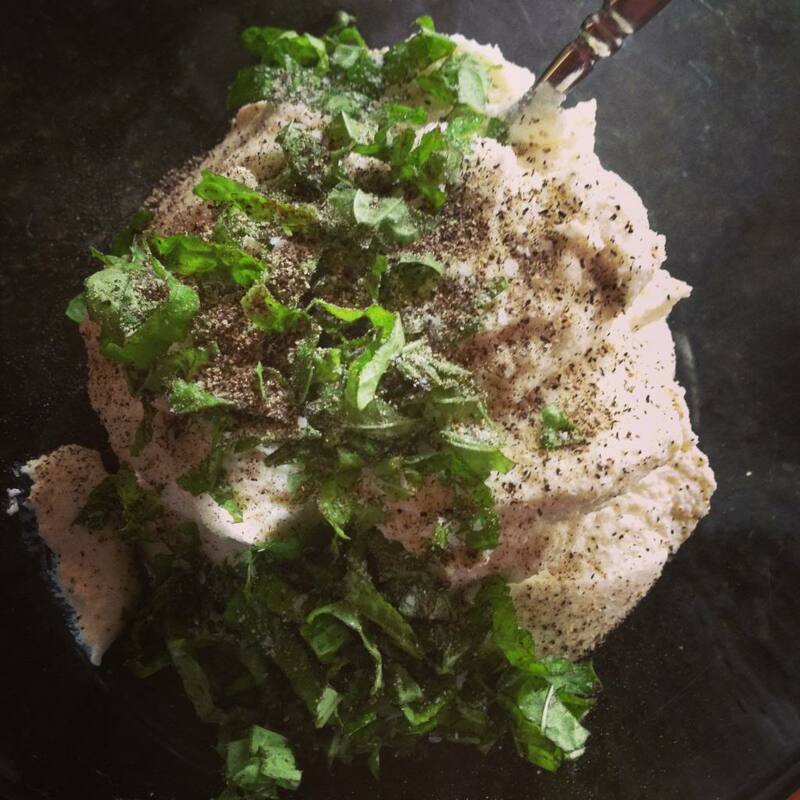 In a small bowl mix together the ricotta, a couple handfuls of chopped basil, salt and pepper. And thats it my friends!!! All you have to do is assemble! 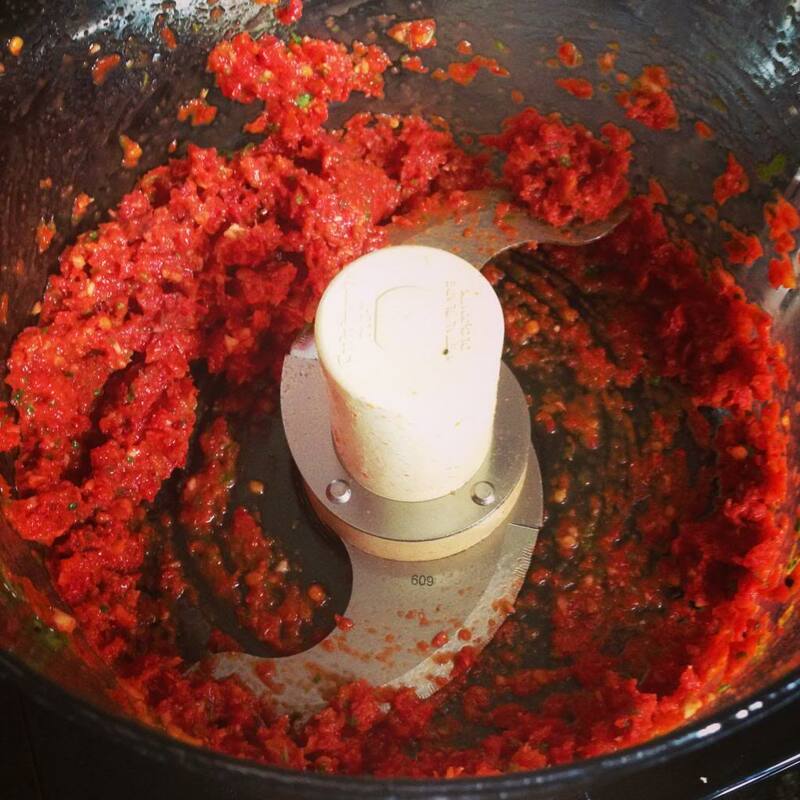 Smear some of the ricotta mixture onto the crostini and then top with some of the sun dried tomato pesto! If you’d like you can finish off with the tiniest drizzle of an herb extra virgin olive oil. Enjoy!!! Hi Angela, this appetizer looks so good that I would love some now! I have to try this recipe out for sure, I’m getting hungry!